Scotland and Italy share a long and warm friendship. And both countries do love Pizza! Now that it’s nearly Robert Burns’ day, we will all be thinking about traditional Scottish foods. But how about thinking about some Scottish inspired pizzas?! Whether it’s Cosmos very own Haggis pizza (which we all know is the greatest Haggis pizza in the world) or any other for that matter, this is a bit of a change from the traditional Haggis, neeps and tatties. This will spice up your Burns’ Supper with the delicious blend of Haggis and the flavoursome pizza. Brilliant to share with your family at your Burns’ Supper! Now here’s a very traditional Scottish pizza – the Pizza Supper! Not to be confused with the Burns’ Supper, this may not appeal to everyone… The pizza is dipped in batter and then deep fried and crispy. Served always with chips and lots of salt and sauce! 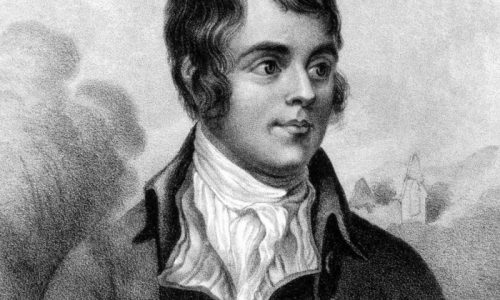 Finally, before we go, here’s Robert Burns’ famous Selkirk Grace to wish you all the best on Burns’ night.